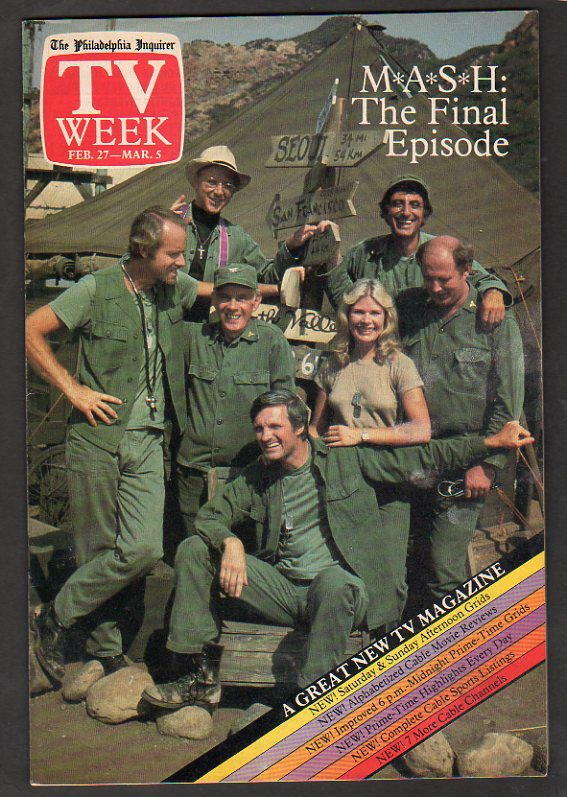 TV Week final episode cover depicting M*A*S*H television show cast. Did you know that the character of MASH 4077th’s head nurse “Hot Lips” Margaret Houlihan was inspired by two real-life Korean War Army MASH head nurses “Hotlips” Hammerly and Janie Hall? The music starts. The lyrics to the haunting song “Suicide is Painless” play in your head. The sound and sight of helicopters enter and then you are looking down from the helicopters view on a village of tents and red crosses. The television series M*A*S*H, based on the 1970 movie that was set during the Korean War at the fictitious 4077th Mobile Army Surgical Hospital or M*A*S*H, established itself as one of the greatest shows in history. The show was on air from 1972-1983, and it still lives on today in syndication. The series finale was broadcasted on February 28, 1983 to 105.9 million viewers, becoming the most watched television broadcast of all time. The record held for nearly three decades until the 2010 Superbowl surpassed M*A*S*H’s record with 106.5 million viewers. The show had the ability to make you cry from both a comedic and emotional standpoint striking a unique balance unlike many shows. But sometimes real life can be as fascinating as fiction. 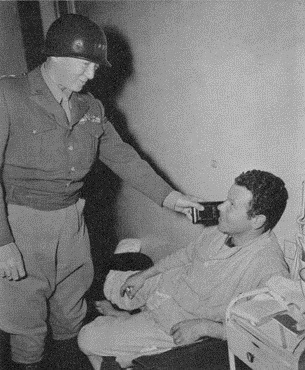 Learn about the real-life exploits of a genuine Army MASH unit and of brave medical researchers fighting tropical diseases in southeast Asia with two recent Armed Forces medical history publications from the U.S. Army Medical Center and School’s Borden Institute. Skilled and Resolute: A History of the 12th Evacuation Hospital and the 212th MASH, 1917-2006 follows the 90-year history of a medical unit, the 12th Evacuation Hospital and its successor the 212th Mobile Army Surgical Hospital, which served in military engagements from World War I to Operation Iraqi Freedom as well as many peacekeeping and humanitarian missions. The unit’s goal is to be trained, equipped, and deployable at a moment’s notice. There are some gruesome pictures in the Vietnam War section, but overall the book is a fascinating read about how medical techniques evolved with warfare practices in makeshift hospitals close to front lines. In 2006, the unit transformed once again to the 212th Combat Support Hospital and was deployed to Afghanistan. The photos in the book look like scenes out of the M*A*S*H television series; you can picture Radar turning is head to the side, pausing to listen and exclaiming “Choppers!” to be followed by the sound of helicopters. The Armed Forces Research Institute of Medical Sciences (AFRIMS), 1960-2010: a 50th Anniversary Photographic History is a lean coffee table book organized by decade. The black and white and color photographs tell the story of AFRIMS – a medical military partnership between the United Sates and Thailand that was founded in response to a cholera epidemic in Thailand in 1959. Within 10 years, a laboratory was built and AFRIMS established the reputation of being a major force in tropical medical research. 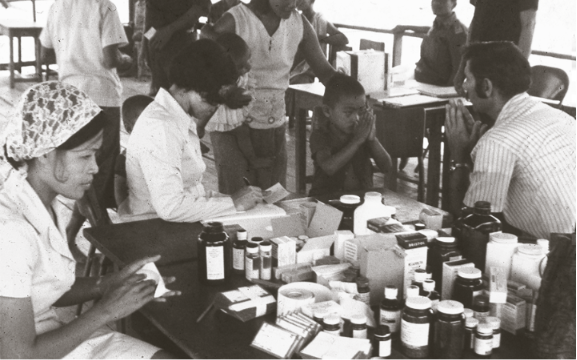 In the 1970s, the lab played a crucial role in researching and developing treatment for tropical diseases inflicting the military serving in the Vietnam War. Technology advancements in the 1980s were adapted by AFRIMS and helped with storing and organizing research. In the 1990s and the first decade of the new century, AFRIMS conducted trials impacting the research on vaccines for hepatitis A, malaria, and HIV. The photographs are very compelling and effectively share history while showing the way they conducted research and interacted with the Thai community. HOW DO I GET A COPY OF THESE BOOKS? Shop our entire Army Medical Department (AMEDD) collection. Peruse all our Military & Emergency Medicine titles. Additional images and content provided by Government Book Talk Editor Michele Bartram is Promotions and Ecommerce Manager for GPO’s Publication and Information Sales Division in Washington, DC, and is responsible for online and offline marketing of the US Government Online Bookstore (http://bookstore.gpo.gov) and promoting Federal government content to the public. This entry was posted on Wednesday, April 9th, 2014 at 11:22 am and is filed under Afghanistan, Department of Defense, Emergency Response, Gifts, Health care, International, Military History, U.S. Army, U.S. Army Medical Department, Vietnam, World History, World War I, World War II. You can follow any responses to this entry through the RSS 2.0 feed. You can leave a response, or trackback from your own site.